It has been around for a while and a lot of PC users have been relying to the Antivirus not only because its free services, but also the professional protection offered by it. Speaking about running the scans with Panda Free Antivirus, it is fair to state that it has little impact on system resources. Depending on the PC specs, the scanning activity may affects your PC’s ability to multi-task. I have tested Panda Free Antivirus on my PC with spec: Intel dual-core, 2GB RAM, windows 7. Then I tried to operate the Full scan and wanted to see what happened if I open my Chrome. Well, the result was pretty good. It was opened in under 3 secs during the full scans. Other lighter apps were opened almost instantly. Panda Free Antivirus offers more than just an average antivirus and malware removal tool. It does not affect the overall activities of your PC. I like the user interface which is familiar and easy to navigate. To install Panda Free Antivirus, you don’t have to be a PC geek to make the process success. It is pretty simple and easy. But you may want to mind about the options. For full protection, you will need to check Security Toolbar. Then you need to pay attention to its offer to set Yahoo as default search provider. If you think that you are annoyed with it, don’t check it. Of course, the bundles like these are always offered when you install something for free. A full scan on my PC spec took about an hour and 20 minutes to finish. It is much faster than I tried on Bitdefender antivirus. Talking about antivirus database, I think it is not different with the Paid version. The results should be valid. Panda Free Antivirus received VB100 certification which convinces me that this free edition deserves the hot spot in the best Free antivirus list. Panda is also an effective malware blocking. I have run some tests on my PC. I opened some harmful websites up and Panda did a great job to tackle every malware trying to intrude to my PC. Its total protection amazed me. Then I injected some malware to my PC, it took about 5 minutes until Panda Free antivirus wiped all of them. Some of bonus features are given for free in this version. The Toolbar Cleaner, for instance, can get rid of toolbars you don’t want to show in your system. It also includes clearing browsing data feature. These bonuses come in handy for those who do not know the complicated commands in most recent browsers. In some trusted review sites, Panda Free Antivirus blocks more malicious malware than Kaspersky. That is insanely good for free antivirus version. Though it is true that you will get better protection from paid version, Panda Free Antivirus is a good start to protect your PC 100%. I have always been the kind of person that likes to download all sorts of things and check out videos, photos, blogs etc. The internet is a place that has plenty of useful and great information and you can easily find all kinds of useful information when you look long enough. The problem with this is that when I started browsing with my phone I had a lot of virus problems and I honestly had no idea that you could get virus on your phone. I tried a few antivirus apps and none of them seems to do the job of cleaning up completely. 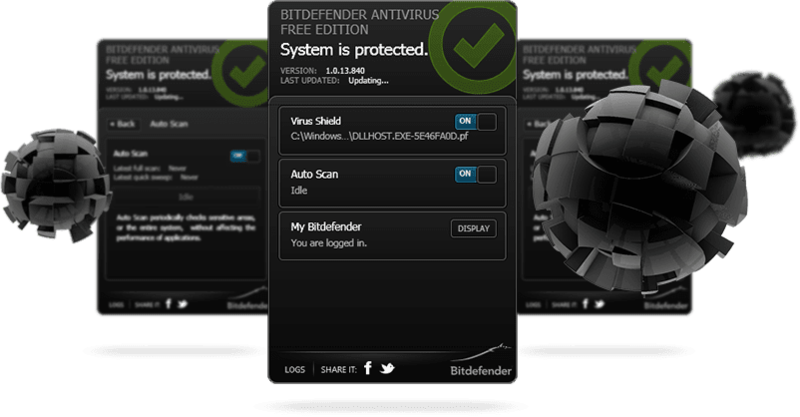 Eventually I was able to find Bitdefender and now I would not trade it for anything. 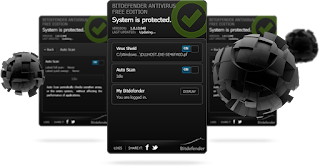 I’m not a very technical person that has a lot of knowledge on how software works and how the Android operating system works, but I do know that ever since I started scanning my smartphone with Bitdefender I have been able to rest easy. 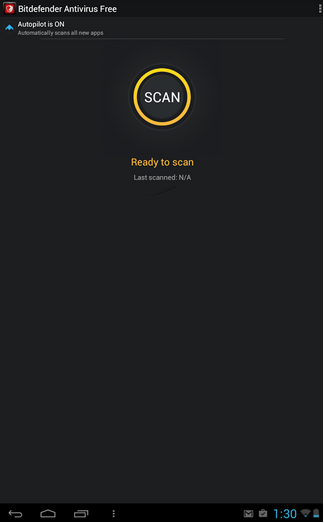 I simply do a scan every time I download something new and this keeps my smartphone free of any malware that could compromise my informations. 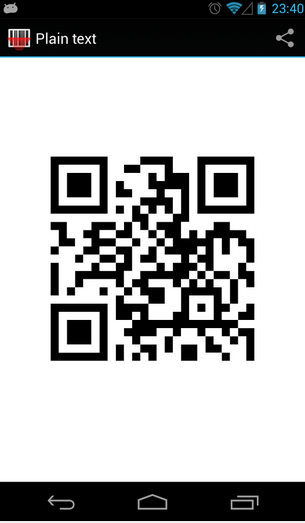 I recommend this app to anyone who wants fast and efficient cleaning for their Android system. If you are like me, you love the Android OS, but there is no question that it has a lot of vulnerability and this is something you need to be careful about specially if you have bank accounts, and email or social media pages linked to your smartphone. It’s easy to use and it always scans everything you download automatically so you don’t have to worry about that either.